Whether your personal beliefs are pro-life, pro-choice, or undecided, you will find this book captivating, heartbreaking, and impossible to put down. A Spark of Light is told in reverse chronological order. A distraught father storms into an abortion clinic in Mississippi, opens fire, and takes everyone inside hostage. Hostage negotiator Hugh McElroy is called in to try to defuse the situation. He quickly finds out, via text, that his own daughter is inside. The strong bond between fathers and their daughters is a constant theme throughout this book. Also, expect a few surprises at the end. A very good read. Jodi Picoult has once again done extensive research in preparation for writing this thought-provoking novel. If you enjoy classic Alfred Hitchcock thrillers, you will surely love this debut novel by A. J. Finn. Dr. Anna Fox, a former child psychologist, suffers from agoraphobia. She never leaves her house, nor does she ever open any windows. Nevertheless, she is quite a busy woman. She spends her time watching classic movies, drinking much merlot, and self-medicating with pills. One of her favorite pastimes is spying on her neighbors. One day, as she is spying, Anna witnesses something horrible. The only problem? She cannot find a soul who believes her. 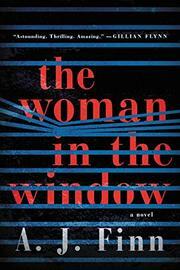 The Woman in the Window is filled with twists and turns, and will keep readers entertained from beginning to end. Tom Krupp thought he had the perfect marriage. He is very much in love with his wife Karen. But does he really know her? Why did she speed away from a murder scene one night and drive so recklessly that she crashes her car into a utility pole? Why does she continue to say she remembers nothing about that night? 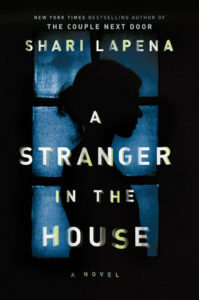 Throw in the obsessed neighbor from across the street and you have a very entertaining thriller by Shari Lapena. Check out A Stranger in the House today. Amy Hatvany has a real talent for truly getting into the minds of her characters and making you feel like you know them. The story is told from two points of view: Amber, a sexual assault victim; and Tyler, the perpetrator. One fateful night involving way too much alcohol changes everyone’s lives forever. 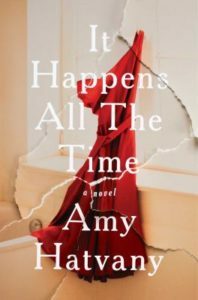 If you’ve never tried Amy Hatvany before, start with It Happens All the Time. Amelia Winn is a well-respected nurse with a wonderful life. However, following a tragic accident, she is left deaf, falls into a deep depression, and turns to alcohol. She ends up losing all that is most important to her: her husband, her stepdaughter, and her job. Two years later, Amelia is finally getting her life back together with a lot of help from Stitch, her best friend and service dog. One morning, while kayaking on the river, Amelia discovers the body of a former friend and coworker. Amelia becomes part of a very disturbing mystery that threatens to destroy her newly reconstructed life. 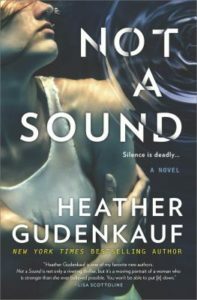 Not a Sound is a great thriller by Heather Gudenkauf, who just keeps getting better and better with each novel she writes. Very entertaining! 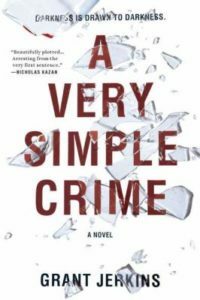 This first novel from Grant Jerkins grabs you from the very first chapter: Rachel Lee, a mentally ill woman, is brutally murdered; Grant is her grieving husband; and Albert, their mentally handicapped son, has a history of violent outbursts. The police think it is a simple open-and-shut-case. In A Very Simple Crime, however, things are not always as they appear. Leo Hewitt, a disgraced prosecutor, is determined to keep digging to find out what really happened. If you’re looking for a fun escape, try this great crime thriller. Tom and Abby Stuart had a wonderful life—until their 12-year-old daughter Caitlin disappeared without a trace. Four years later, the police find their daughter alive. She refuses to discuss anything that happened to her during the time she was gone. Of course, she is a stranger to her parents, who are hanging onto their marriage by a thread. 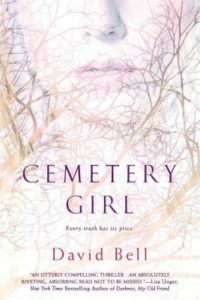 Cemetery Girl is a good psychological thriller, told from Caitlin’s father’s point of view. When the villain is finally revealed, he is especially repulsive. I will definitely try more novels by David Bell. Adrienne is 39 and desperate to be a mother. Her husband Gabe isn’t that anxious to have a family, but goes along with the idea to please his wife. After failed IVF attempts and being scammed by a fake birth mother, Adrienne is willing to do anything to fulfill her dream. Into their lives comes 19-year-old Leah, who is pregnant and not interested in keeping her baby. Leah, however, has some stipulations, including living with Adrienne and Gabe for one year before signing the adoption papers. What could possibly go wrong? Well, just about everything. 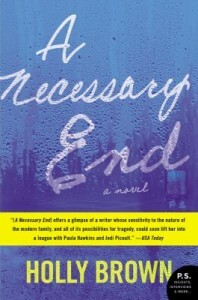 A Necessary End is a good psychological thriller, told from two different viewpoints. 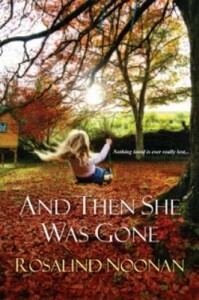 Holly Brown’s novel includes some unexpected twists toward the end. David Harwood is the main character in Linwood Barclay’s latest novel. He is a down-on-your-luck guy, a widower and father of a young boy. The newspaper he worked for has gone out of business, and he and his son live with his parents in Promise Falls, New York. A cousin he is close to has recently been accused of kidnapping a baby and killing his mother. Since David has a lot of time on his hands, he sets out to prove his cousin’s innocence. In the meantime, there are several strange occurrences happening in Promise Falls, and the police are scrambling to find answers. Broken Promise is a good novel filled with suspense. The author left the ending open with several unanswered questions. Maybe there will be a Promise Falls sequel? Set in Oregon, And Then She Was Gone focuses on Lauren O’Neil. At age 11, she was kidnapped on her way home from school. For six long years, her frantic parents search for her, never giving up hope she will be found. Finally, they get the call they’ve been waiting for, only to discover their beloved daughter has been transformed into a polite stranger afraid to come home. Through the process of reunification, the O’Neil family must learn to become complete again. This novel is written with much sensitivity. Author Rosalind Noonan explores the very complex relationship that develops between child abductors and their victims. Dave Koz is a pro at playing the saxophone. Fans of jazz will love the special holiday CD. 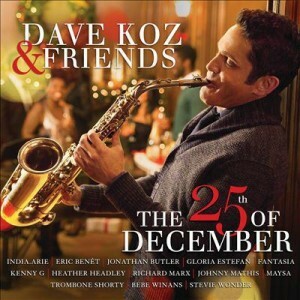 Dave Koz & Friends: The 25th of December includes 12 great songs, all with a jazzy twist. It's really fun to listen to in the car on the way to work! This novel begins with a tragedy in the small affluent college town of Ridgedale, New Jersey: the body of a newborn girl is found buried in the woods near the university. Molly Sanderson is a journalist, new to town, assigned to cover the sad story. It’s a real challenge for her, as she is suffering from a severe depression following the loss of her own baby. As Molly continues her investigation, she uncovers secrets that have been hidden for decades and comes to the realization that Ridgedale is not the idyllic place that its residents make it out to be. Where They Found Her has good characters and some surprising twists. 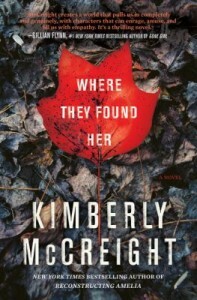 I hope Kimberly McCreight plans on writing more novels! 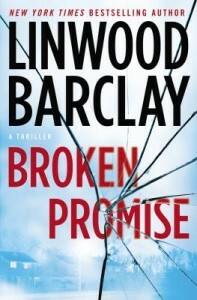 Linwood Barclay’s thrillers are usually good at grabbing the reader right from the beginning and pulling him in. 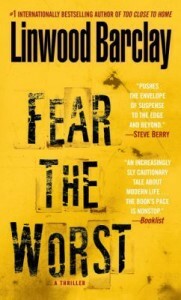 Fear the Worst is no exception to that rule. In this story, Tim Blake is just an average guy who is good at selling cars. He has an ex-wife and a 17-year-old daughter who is staying with him for the summer. His real nightmare begins when his daughter disappears, supposedly into thin air. When he starts to search, no one has heard of her, not even at the place she was working. To make matters worse, he is constantly being watched because others are looking for his daughter too. They’re not planning a welcome home celebration, though. This is a good mystery that will keep you up late at night turning pages. Ellen is an overworked social worker with three children of her own. After a tragic accident occurs in her own family, she finds herself on the other side of the system she works for. Ten-year-old Jenny, alone in Iowa, must rely on her street smarts to help herself. When their lives intersect, the pair finds some unique ways to help each other. 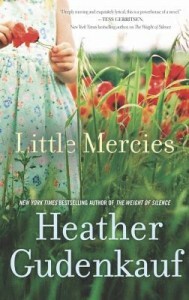 Little Mercies is a really good page turner, with characters you come to care about. Check out the latest from Heather Gudenkauf. 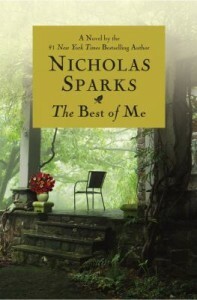 Some of Nicholas Sparks’ novels are just really sad, but I still loved this one and have to recommend it. The character development and the plot have just the right amount of suspense thrown in to keep the reader turning pages. Dawson and Amanda were lovers 25 years ago and are reunited in their North Carolina hometown after the death of a mutual friend. Neither has lived the life they had hoped to live, nor can they forget the special love that they shared. In The Best of Me, you really come to care about the main characters as they struggle to accept and live with the choices they’ve made. After you read the book, check out the movie adaptation.